The embargo has been a divisive issue in the Cuban-American community, with politicians, businesses and people with relatives still on the island often on opposite sides. MIAMI — Understanding the complex emotions that churn inside of Cuban-Americans when they ponder the U.S. embargo against their native country is difficult. Just ask Maria Tames Calatayud. Her parents sent her and her brother to the United States as teens when they realized that Fidel Castro had established a communist dictatorship. What she thought would be a two-month stay has turned into 53 years, and Tames wants nothing more than to see Castro’s regime toppled. But does that mean she supports the embargo? The embargo is back on the international agenda now that the European Union has decided to launch negotiations to restore full bilateral relations with the communist-run country. Getting to that point in the U.S., however, is trickier. The embargo has been a divisive issue in the Cuban-American community, with politicians, businesses and people with relatives still on the island often on opposite sides. 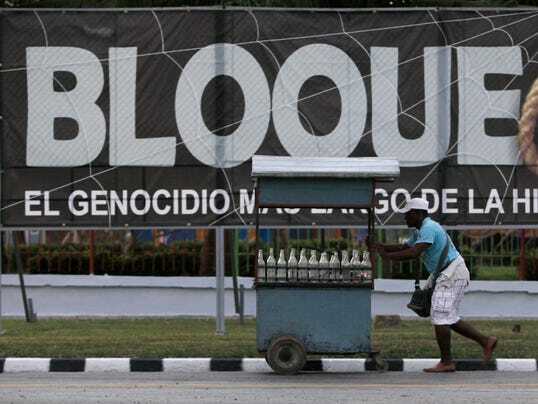 But feelings have been shifting among some as the Castro brothers still control the country of 11 million people more than five decades after the embargo was enacted. The U.S. embargo on Cuba was first instituted by President Eisenhower in 1960 and strengthened in following years in response to Cuba’s Communist party drift toward an alliance with the Soviet Union. The idea was to deny the Cuban dictatorship arms and money from exports to the USA to prompt a change in Cuba’s policies or government. The embargo has prevented Cuba from gaining full access to U.S. markets, especially for its sugar, and banned America investors from doing business on the island. The regime has access to world markets and investors outside the United States, yet it is still mired in poverty under a government that significantly restricts Cubans from owning property and starting profit-making businesses. A string of American presidents have said they would consider changes to the embargo only if Cuba improves its human rights record and stops jailing people — writers, journalists, economists — for simply speaking out against the system. On the streets of Miami, the heart of the Cuban-American community in the U.S., Versailles Restaurant on Miami’s Calle Ocho has long been the informal political center of the city. This week, just like any other, the most ardent anti-Castro voices were holding court outside the restaurant, explaining why the embargo must hold. Servilio Perez spent 12 years in Cuba’s prisons for trying to overthrow Castro’s government. Perez, 88, said he’s seen too many friends die in those prisons and helped bury too many freed prisoners in Miami to let their sacrifices go to waste. “That would be a crime against those people,” said Perez. Yet a few feet away, Juan Maristany spoke candidly about his gradual change of heart — a sentiment that would once generate a heated screaming match outside the restaurant. For decades after arriving from Cuba as a 14-year-old, Maristany believed that the embargo would help topple the Castro regime. But Maristany, now 66, said he changed his mind in recent years. Gauging public opinion on the issue is a tricky one. 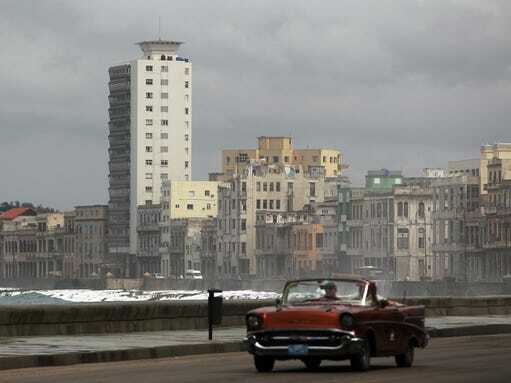 A poll released Tuesday by the Atlantic Council, a Washington think tank headed by former Utah Republican governor and presidential candidate Jon M. Huntsman Jr., found that 56% of Americans and 63% of Floridians favor normalizing relations with Cuba. But when respondents were told that Cuba has a “dismal human rights record” and its government “represses virtually all forms of political dissent” through detentions, arbitrary arrests, beatings and other methods, those numbers nearly flipped — 50% of Americans and 49% of Floridians favored maintaining the current relationship. 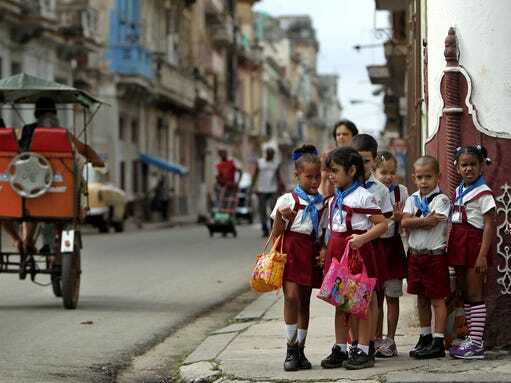 Figuring out what those numbers mean depends on the personal experiences of each Cuban. For those who experienced Castro’s hardships firsthand, it’s difficult to accept an end to the embargo. Pedro Montero, 85, was forced to perform grueling work in sugar cane fields for 3½ years before he was allowed to leave with his wife and two children. “Why would we want to help (Castro) now?” he said. Generoso Perez spent 30 years in Castro’s Cuba before he finally got out with 125,000 other Cubans during the Mariel boatlift in 1980. But he still has a brother and nephew in Cuba, and he says that those who defend the embargo so vigorously clearly don’t have close relatives back there. And there are those who never experienced Castro’s Cuba at all. Viviem Rivero only knows Cuba from the horror stories her father told her. Born and raised in Miami, Rivero says the embargo is of little concern to Cuban-Americans of her age. When she does consider the embargo, though, she echoes the sentiments of many her age that don’t see a reason for it anymore. “It would alleviate so much of the burden that’s always on the people,” she said. The debate is sure to rage on in the political arena, with members of Congress lobbing heated statements past one another and the issue now front and center in the Florida gubernatorial race. But it will also live on in the daily debates of the Cuban-Americans that it affects most directly. Roberto and Leticia Veciana have been married so long that they frequently finish each other’s sentences. But while eating lunch together at a Hialeah mall, they start giving each other sideways looks when discussing the embargo. “The problem with the embargo is that the people are struggling, not (Castro),” Leticia said, explaining she has uncles and cousins still living back home.